Nadia Khan's Latest Picture Has Grabbed Everyone's Attention And People Can't Stop Trolling Her For It! Nadia Khan’s Latest Picture Has Grabbed Everyone’s Attention And People Can’t Stop Trolling Her For It! Nadia Khan who was known for her energetic and cheerful morning shows came back to the silver screen after 17 years. She appeared in ‘Aisi Hai Tanhai’ and ‘Kaisi Aurat Hoon Main’ the two very meaningful serials. Other than that, she is now running her own YouTube channel ‘OutStyle With Nadia’ to upskill makeup tutorials for the beginners. Nadia Khan has now returned to her own territory – hosting, she is hosting a game show on BOL Network these days! In a recent interview, she told that Pakistani people enjoy game shows and love to win prizes but her game show is different from the previous ones as this show requires people to show their smartness. She also said that I miss my morning shows because in that way only, I can interact with my fans. She is hopeful that this game show will help her to commune with fans once again! Yesterday, Nadia Khan shared her picture of latest hair look and asked the fans about it. She Is Working With BOL Network These Days! 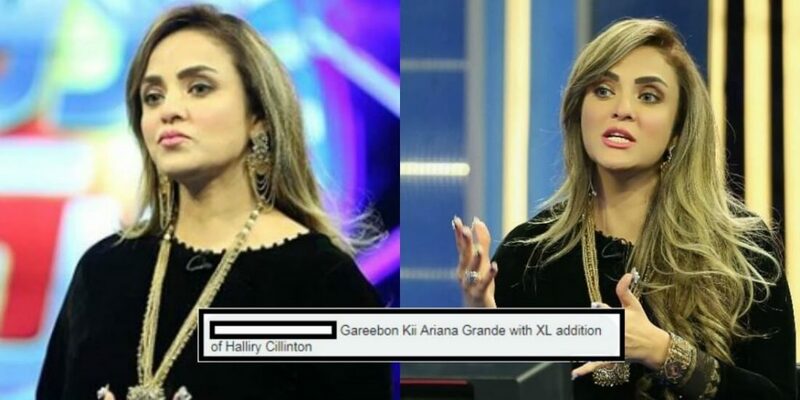 Nadia Khan’s fans loved her new hair look while the keyboard warriors bashed her as expected! And Here Is How People Reacted To Nadia Khan’s New Hair Color! Best Reply To All The Haters! So, Do You Agree With Him? It Is Hair Dye, Bhai!!! Applying Hair Color Doesn’t Mean You Are Hiding Your Age! Is Baat Ka Nadia Khan Ke Hair Color Se Kya Taluq? So, did you like Nadia Khan’s new hair look? Or not? Share your thoughts with us in the comments!